With consumer concern over the volatile and high price of electricity, alternative forms of energy are receiving renewed interest. Many homeowners are asking, “Can solar be used for new HVAC systems?” The answer from the HVAC industry is a resounding yes! HVAC and solar technology continues to evolve. 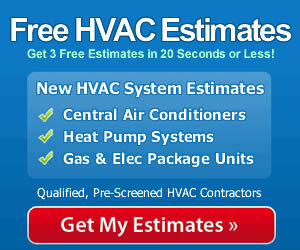 In this article we will look at 2 ways that solar can be used for New HVAC systems. Solar Powered Condensing Units: Lennox SunSource solar energy system is the leading solar technology in the traditional HVAC market. SunSource solar modules convert solar energy into usable electricity for the condensing unit and other applications throughout your home. 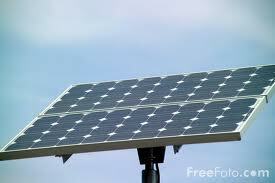 From 1 to 15 solar modules may be installed to power the HVAC system and the rest of the home. In some instances, enough electrical power may be generated to push some of it onto the grid, earning a tax credit from the utility company. While solar energy is more cost-effective in sunnier climates, it can be used in all regions of the country. Dave Lennox Signature Series condensing units require a fairly inexpensive upgrade to turn them into a platform for the SunSource Home Energy System. While the solar modules used to run HVAC systems are somewhat expensive, once installed the energy is free, renewable and clean. 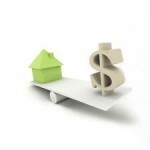 Since a home’s HVAC system can account for 30% of the total energy usage, the utility cost savings may be substantial. Absorption Chiller Solar Powered Air Conditioners: Absorption chiller air conditioners use technology that was developed in the early 20th century. The technology is used widely around the world and accounts for about 40% of the commercial air conditioning units in Japan today. Residential solar air conditioners are growing in popularity as technology evolves to make them more cost-effective for smaller applications. In absorption chillers, solar energy is collected in a series of evacuated tube solar energy panels typically installed on the roof. Glycol, a food-grade antifreeze, is used to transfer solar energy to the chiller, which is used for both air conditioning and heating. These chillers are operated by a series of pumps and controller to direct the flow of glycol through the system, from the panels to the chiller and back to the panels. These electrical functions can also be run from solar PV panels to eliminate any electrical use. 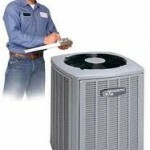 Currently, absorption chiller air conditioners are not cost-effective for many consumers. Many states do offer tax credits for their installation, however, and there is reason to think that costs for the equipment will come down as more people make use of it. 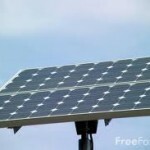 Can solar be used for new HVAC systems? It can be and it is! Whether you are interested in converting a traditional condensing unit for use with solar energy or would prefer alternative such as an absorption chiller furnace/air conditioner, options are available that take advantage solar energy 365 days a year.